After listening to customers and immersing ourselves in the education environment we gained an understanding of key goals for fueling students focus and improving academic performance. We addressed key challenges by creating a solution that was lightweight and mobile, giving operators the ability to bring students a nutritious and convenient breakfast. 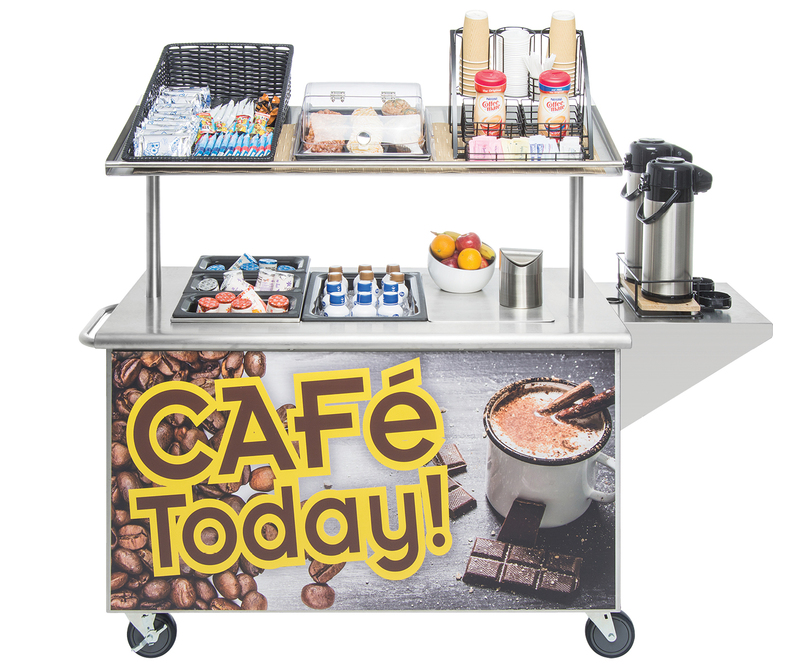 The Hubert breakfast cart will change the way your students eat breakfast! WHAT IS A BREAKFAST CART? 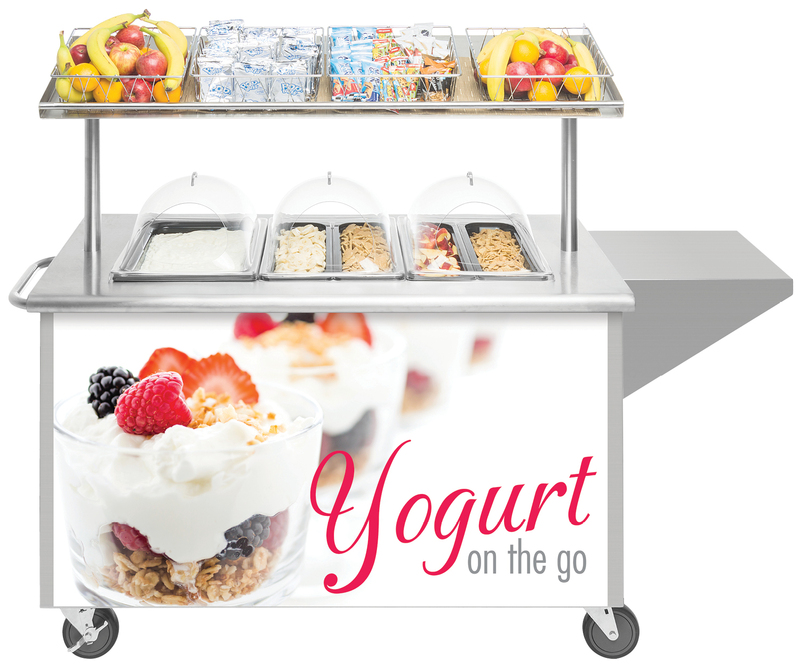 A breakfast cart is a portable service station that is fully stocked with healthy, easy-to-grab breakfast options. 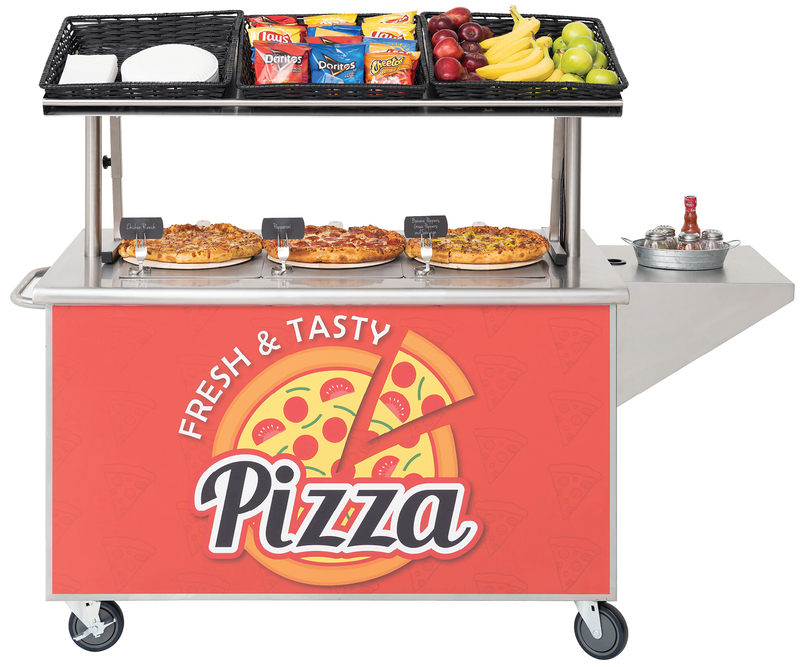 The cart is operated by school staff and is usually located in a high traffic area like hallways or main entrances. 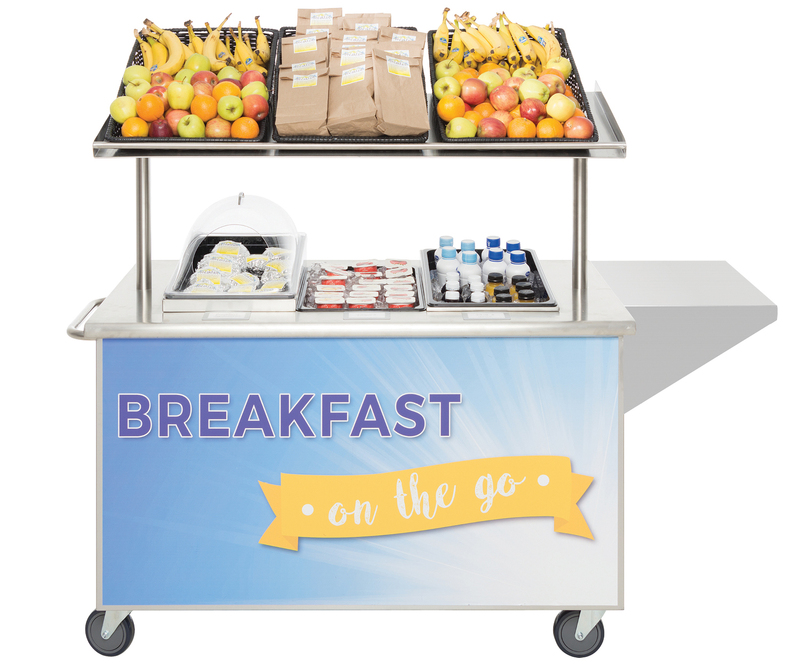 Mobile design allows breakfast to be brought to the students, helping to entice them to participate every morning. Don't limit your mobile cart to just breakfast! 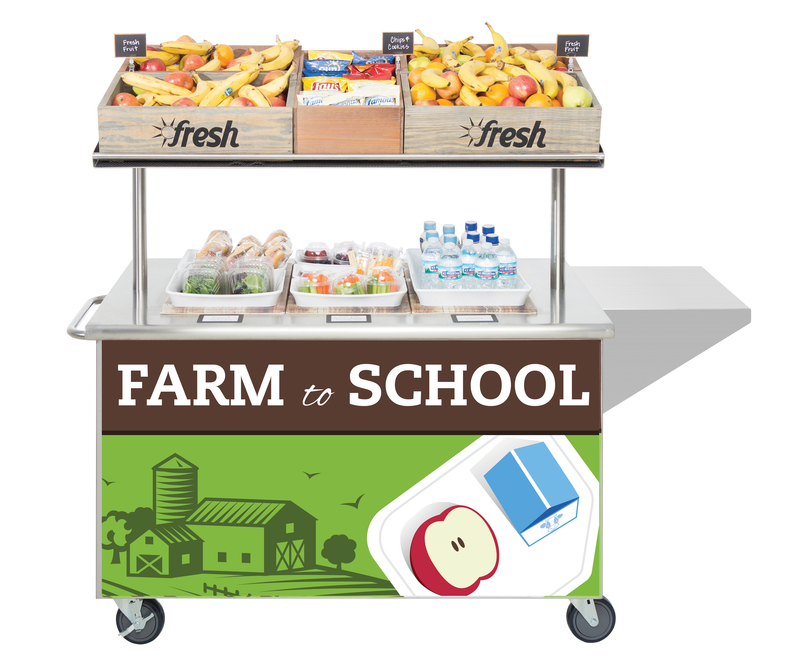 Get creative and use the cart to serve healthy snack throughout the day or during extracurricular activities. 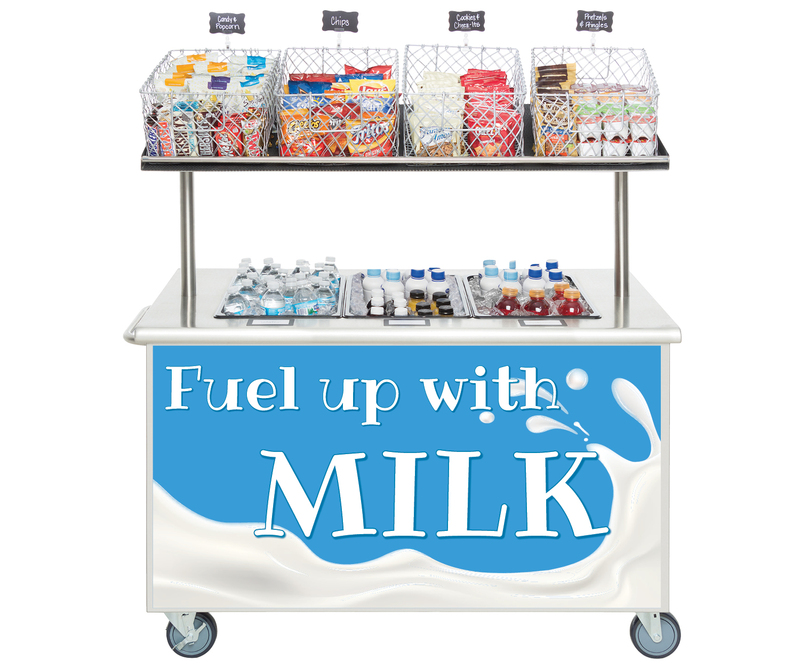 Breakfast Carts for Schools: Style your Cart 6 ways!